Now, I know that a lot of people don't consider the Twilight stories to be "real" vampires, and since I honestly feel it is more of a love story than a vampire story, I will leave it out of this post, even though it would definitely be one of my favorite vampire stories. So here are 5 of my favorite vampire books/series. 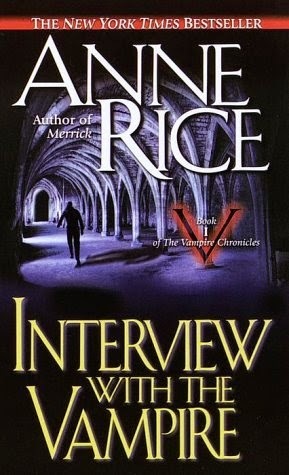 Of course one of my very favorites is the Anne Rice series. The weird thing is that I actually began the series with the third book, The Body Thief. And I remember why, I was in the college bookstore at the time, looking at the small selection of fiction they had, because I wanted something to read. I didn't have a lot of books to read in college, because then it was all about the textbooks unfortunately. But I did always try to have something to read around. So I read the 3rd book, liked it, and told my mom about it. She and I read a lot of the same thing back then. So she bought the first two and we began reading the series the correct way. First off, I do NOT watch the tv series. I read the books way before then. And I admit, I was very excited for the tv show. Then, I sat down to watch the first episode, and I turned it off and was done within the first 15 minutes. Too many big things were changed about important characters for me and so I knew I couldn't watch it. I'm sure it is a good tv show in its own right, I know people who really like it. I just was turned off in the first episode and have never given it another chance. Now this is the series that got me to notice Julie Kagawa. It is newer, the final book is just now coming out, but I loved the series, and highly recommend it. This series I didn't start until the tv show True Blood started. And even then I wanted to wait to read each book until right before the new season. Of course that's not relevant anymore now that the tv series is so far off the books. But I actually gave up after the 2nd season and just read through all that were there. I still have the last 2 to read. And I do still watch the tv show, just it is a whole separate entity now. Guess I could give The Vampire Diaries a chance like that. Just don't think I will. Finally is another YA series that I love. 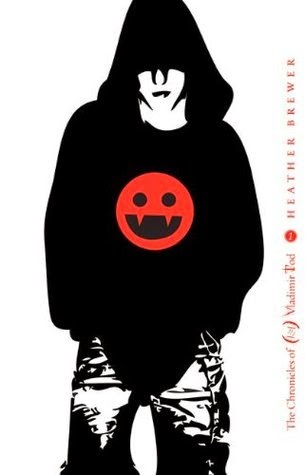 The Chronicles of Vladimir Tod by Heather Brewer. The stories are great, and the author is really cool! So, are you a vampire fan? What are your favorite books? 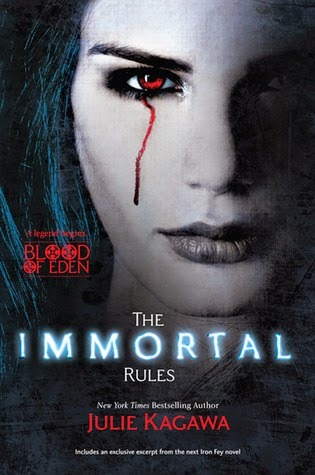 I could do a whole other post on vampire movies, but since this is a book blog, I'll restrain myself. While you're here, you can go enter my Bloglovin 900 follower giveaway HERE. Yay for the Twihards!!! Thanks for stopping by and agreeing with me on that. Yay for Vampires! Thanks for visiting my blog! I may have to take a look at your number 3 and 5 suggestions. I'm always looking for good book suggestions and Vampires are right up my alley. Both are very well written, and quite original in my opinion. HOpe you get a chance to read them and like them as much as I do. Thanks for stopping by! Early JR Ward (Black Dagger Brotherhood) and Jeaniene Frost are my favorite vamps. I figure I'll read it till the end. I always like to finish things that I've enjoyed, but I have heard I won't like the ending either. Maybe that's why I keep putting it off. Thanks for stopping by! I've always liked vampired books! The Blood of Eden series by Julie Kagawa is really one of the best vampire series I've read recently! I am such a huge Julie Kagawa fangirl these days, her writing is just so great! 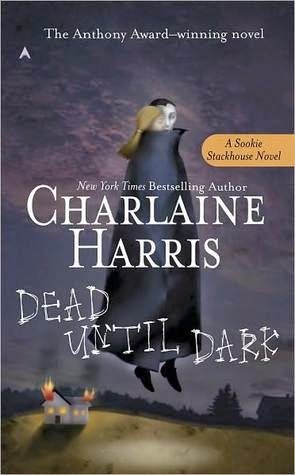 I do agree that the Sookie books did kind of go downhill, but I also kind of need to finish them at some point. Thanks for stopping by! Nice compilation. From this list, I've read only Interview with the Vampire. I've watched a couple of episodes of Vampire Diaries, but I am sure that it's different from the book (as most adaptations are!) and I'm not a fan of the series either. Glad to know I'm not the only person who isn't a fan of the Vampire Diaries. Thanks for visiting! I enjoyed the Twilight series. I think it was intended to be a different kind of vampire story. Who knew that people could accept both eastern and western dragons (which look so very different that it's hard to believe they are the same fantastical species), but change the skin of a vampire and tweak the diet, and the whole world throws a hissy fit. Who could have predicted that people would be that attached to the exact nature of a mythological creature! Cracks me up. Sometimes I can accept that they're two different things, like with Tru Blood. But other times, I can't. Love your reasoning about Twilight. I'll have to use your example next time I want to argue! Thanks for stopping by! 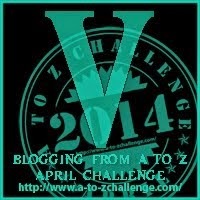 A to Z April - J: Journalism?